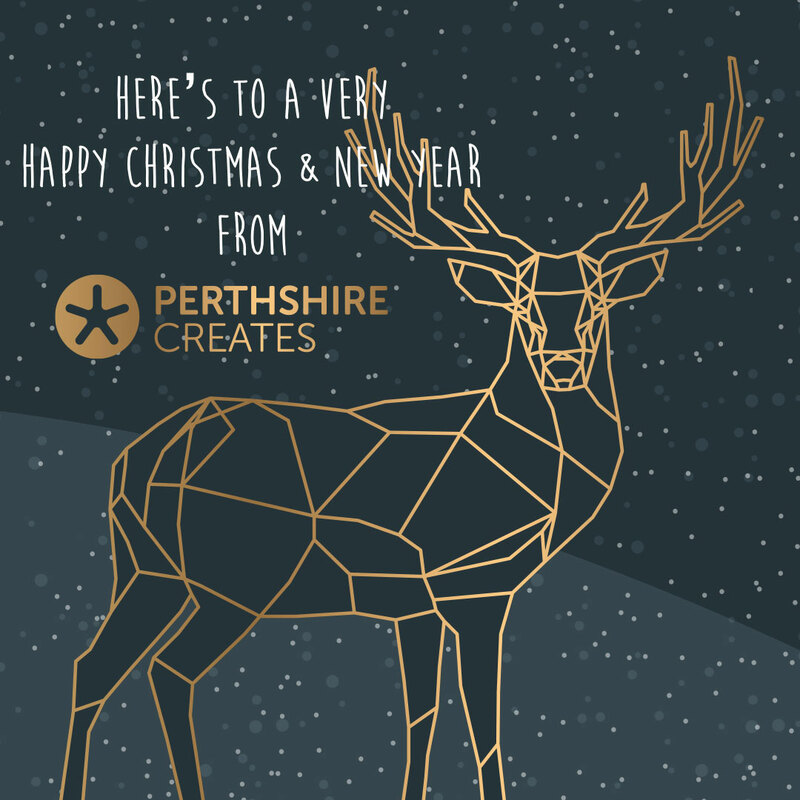 On Instagram, we’ve been rounding off 2018 with our #InstaAdvent and highlighting just 24 of the fabulously creative and cultural events and activities you can enjoy in Perth & Kinross coming up in 2019. You can see the posts by following us on Instagram, or alternatively here’s a flavour of what was featured. 1 – 1 Story Box in Alyth, Eastern Perthshire – Set up in 2017 as one of the Caterans Commonwealth projects, the Story Box contains more than 100 stories, songs and poems about the town’s present, it’s past and even it’s future. Housed in an iconic red telephone box, the archive tells remarkable stories of the people of Alyth. 2 – Featured one of the many shows at the Birnam Arts which was 2 shows in 1 on Sat 8 December, JACK & BILLY from Clydebuilt Puppet Theatre. One of many fabulous cultural events which take place all year round at Birnam Arts. 3 – 3D printing & scanning are available at the Maker_Space at AK Bell Library in Perth. A fantastic free to use creative technology resource for all Perth & Kinross library members. 4 – The 4th Perth Festival of Yarn returns to Perth on 7 & 8 September 2019. Growing rapidly this event has a packed programme of workshops, over 70 independent vendors, lectures by leading respected designer and a podcast lounge. 5 – 5 Soldiers – The Body is the Front Line, will be on at Perth Theatre on Tuesday 5 February 2019. A thrilling & humane portrait of army life telling the stories of men and women serving on the front line. Earning 5 star reviews, created by the Rosie Kay Dance Company, 5 soldiers doesn’t offer a moral stance on war, instead it questions what it is what we ask of our soldiers and explores how the human body remains essential to war, even in the 21st Century. 6 – 6 shows make up the much anticipated and enjoyed Pitlochry Summer Season 2019 which runs from May to October at Pitlochry Festival Theatre. 2019 includes Summer Holiday – The Musical, Blithe Spirit by Noel Coward & Arthur Miller’s The Crucible. 7 – 7 Dames join Snow White at this year’s Perth Theatre pantomime Snow White & The Seven Dames, running until 5 January 2019, this much loved annual theatre event entertains with the expected seasonal barrage of booing, hissing and singing! 8 – 8 December 2018 saw the opening of ‘A Perthshire Christmas’ at Perth Museum & Art Gallery. Running until 5 January 2019 this exhibition takes a trip down memory lane and explores Christmas traditions in the home as well as the history of Perth Theatre’s pantomime season. 9 – For 9 days in early September the Perthshire Open Studios orange signs pop up across the whole of Perth & Kinross. An annual 9 day event which sees around 200+ artists open their studio doors to welcome visitors see how they do what they do. The 2019 event takes place from 7-15 September. 10 – Sign up for a 10 week calligraphy course at Create at Nest in Blairgowrie, a non-profit social enterprise which aims to provide affordable space for creative people to work, teach, learn and meet up with like-minded people. 11 – 11 November 1919 is the birth date of Hamish Henderson, the Blairgowrie born poet, songwriter, soldier and intellectual, and often referred to as the founding father of Scotland’s 20th Century folk renaissance. It’s his life and work which is celebrated in the annual Hamish Matters Festival in Blairgowrie & Rattray during early November. 12 – 12 good reasons to visit The Library of Innerpeffray, Scotland’s oldest lending library. Situated near Crieff it opens for the 2019 season on 1 March until 31 October. With an incredible collection of old and rare books, one of Europe’s oldest Borrowers Register, a new Heritage Trail in the planning for 2019 and a Feast of Burns during March, it’s a cultural gem hidden away in rural Perthshire. 13 – There are 13 libraries and 3 mobile libraries open throughout Perth & Kinross and are run by Culture Perth & Kinross. As community spaces, there’s so much more to a free library membership than borrowing books, with a number of events, activities, groups and services available the libraries are at the heart of local communities. 14 – Perthshire Visual Arts Forum is a Perthshire based charity run by artists for artists and will have been up and running for 14 years in 2019. Membership is £10 a year and comes with a number of benefits from networking & collaboration opportunities to workshops and regular updates. 15 – 15 January 2019 is the date for ‘The Man with No Face – An evening with Peter May’, one of Britain’s outstanding crime writers and award-winning novelists. Organised by the Library in Perth, Peter will be in conversation with BBC braodcaster Fiona Stalker to discuss his books and his life as a journalist and author. On at St John’s Kirk from 7-9pm, tickets are £7 and can be bought online, at Waterstones Perth and at AK Bell Library. 16 – The Sixteen are just one of many diverse acts you can see during the 2019 Perth Festival of the Arts, all the arts in 10 days at 1 amazing festival. Running from 16-25 May there is a varied programme of international and national performers featuring the best in classical music, opera, theatre, rock, folk, jazz, comedy, dance and contemporary visual art. 17 – It’s 17 years since the Heartland Film Society was set up in Aberfeldy. In collaboration with the Birks Cinema in Aberfeldy, they organise an annual season of outstanding films from world cinema. They also run the Aberfeldy Film Festival which includes a Young Indies Film Competition and a Palme-Dewar short film competition for films on a Scottish theme or by filmmakers based in Scotland. 18 – 18 December 1849 is the date of a letter safely stored in the Archives, Local & Family History at AK Bell Library, Perth. The letter is from James Milne, Master of the schooner ‘Rose’ to the owner Robert Keay in Perth, informing him that the Rose had run aground in bad weather. The archives are managed by Culture Perth & Kinross and have this year celebrated their 40th anniversary. With an open door policy during library opening hours, they are an incredible local resource with collections relating to the Jacobite uprisings of 1715 & 1745 to the constantly growing Perth Theatre Archive. 19 – At the age of 19 in 1910, Margaret Morris, a pioneer of modern dance, as well as an accomplished choreographer, artist and author, set up her own system for dance training called the Margaret Morris Movement, it’s still taught worldwide today. From 15 January a new exhibition called Margaret Morris and her Dancing Children opens at Perth Museum & Art Gallery, exploring the legacy of many of her pupils. 20 – With up to 20 shows a year, the Inchyra Arts Club is a stunning arts venue in a refurbished cattle byre on the Inchyra Estate near Perth. Since it opened in 2014 they put on a varied programme of shows covering music, comedy and theatre. 21 – 21 March 2019 is a diary date for followers of folk music, a chance to see OK Amigos at the Strathearn Artspace, as organised by Crieff Folk Club. A guitar, sax and percussion trio combining self-penned material, blues, jazz and americana with compelling swing and latin rhythms. 22 – 22 is the number of screens under the green copper roof that greet you on arrival at Threshold Artspace – Perth’s gallery of contemporary art located at the ‘threshold’ of Perth Theatre and Perth Concert Hall. Launched in 2005 the Threshold artspace is free to explore and currently features an exhibition called Flipstones, a solo exhibition by Perth based performance poet Jim Mackintosh and pairs poems with works from the Horsecross Arts collection. 23 – 23 January 2019 is a date in the diary of the Perthshire Photographic Society’s programme of events, when they welcome wildlife photographer Des Ong, who will be talking about his photography in a talk titled – ‘Captivating Nature – Wildlife of Britain & Beyond’. Des will showcase some of his projects which take him all over the world, he will be sharing his ideas, approach and techniques as well as many of his photos and short video clips of his photographic journeys. 24 – 24/7 are the opening hours for the beautiful Corbenic Poetry Path which can be found at Trochy near Dunkeld. The 3.5k circular path meanders through some staggeringly beautiful Highland scenery, with poetry carved, burned cast and etched into the landscape & showcases the work of some of the very best and most active poets currently living & writing in Scotland. The path has been made possible and is enjoyed regularly by those who live in the Corbenic Community. Visitors are welcome, the Path is always open and free!